While it looks as if short term debt relief hike appears possible, Senator Harry Reid (D - NV) lets us peak into his psyche a bit via his body language in this short video. What follows is a transcript and a (partial) nonverbal analysis of this encounter. Reporter: "Would you accept a short-term deal to increase the debt limit?" Reporter: "Would you accept a short-term deal to increase the debt?" 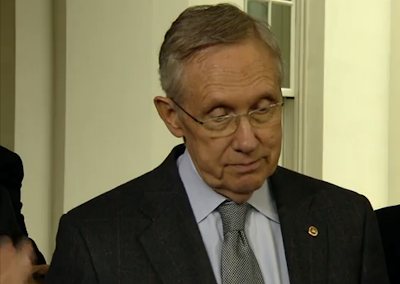 Reid: "We are going to look at anything they send us, ah, in the last, ah, even coming out of this meeting, outta coming out of this meeting, a few emails, ah .....(Tongue in Cheek nonverbal at 0:17) they've changed it, these .... (Incredulity expression at 0:19) the last we got on how much time they want on, ah .... (Duping Delight at 0:23), debt limit. So I mean let's just wait and see because there's some rumors they want it tied to the C.R. We'll just wait and see. Because they cannot decide what they want." Here Senator Reid displays a classic (but partial) facial expression of incredulity. Note his right hand is simultaneously gesturing upwards as well. 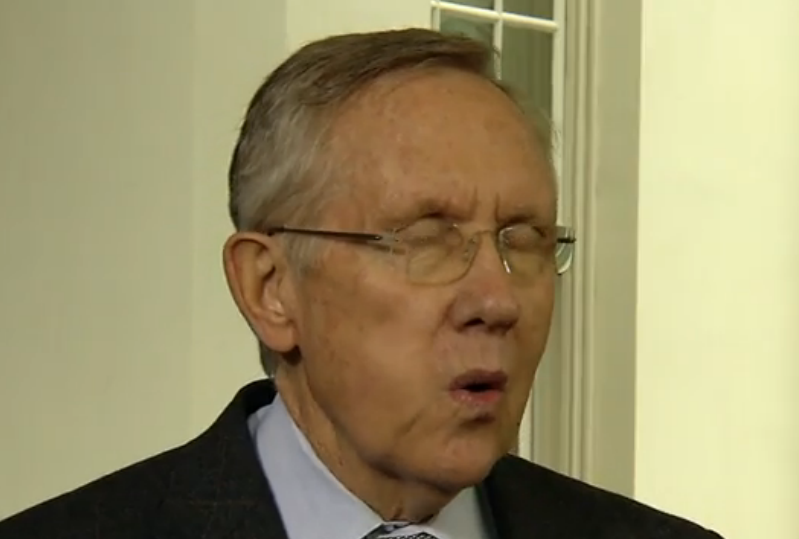 This expression was captured at the 0:19 mark just after the Senate Majority Leader says, "... they've changed it, these ..."
In this moment (best viewed in the dynamic context of the video) shows Harry Reid suppressing a smile in a classic and beautiful example of what Dr. Paul Ekman coined "Duping Delight". 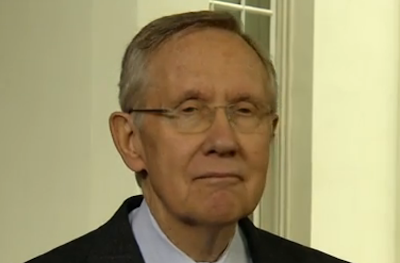 Within these seven seconds Harry Reid's body language telegraphs to us that he feels as if the Democrats have gained the upper hand in the attempt to solve the government shut-down and avoid the U.S. defaulting on its dept.